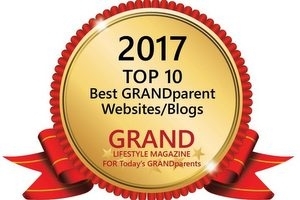 Great news: Grandma's Briefs has been named one of 11 top websites for grandparents in GRAND Magazine's 2015 Top Blogs/Websites Awards! 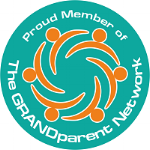 I'm honored and humbled to be included in the same category as many of the grandparent bloggers and websites I've adored for years and hoped to emulate—as a grandparent and as a provider of content highlighting the diversity and vibrancy of today's grandparents. 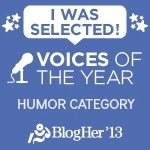 Congratulations to all my fellow grandparent writers, bloggers, and website publishers named in the article, which you can find here. 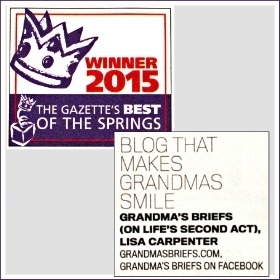 Though Grandma's Briefs won the designation, you—the Grandma's Briefs readers—reap the reward by way of a free subscription to GRAND Magazine (a $19.95 value)! How to get your free subscription to GRAND Magazine: Simply click on this link to sign up for your free 12-month subscription. I look forward to reading it along with you, hearing your thoughts on the grandparenting features we both will learn from, be inspired by. A sincere thanks to the editors of GRAND Magazine for the honor and the gift. 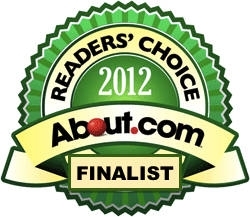 Even bigger thanks go out to all of you—those who visit my site, read my ramblings, comment on my musings. Thank you for making Grandma's Briefs part of your grandparent experience!